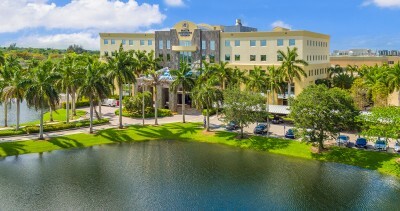 FORT LAUDERDALE/DAVIE, Fla. – Nova Southeastern University (NSU) is one of the hosts for an upcoming conference about digital technology in universities across the country. Going Deeply Digital: Promises and Challenges of the Digital Curriculum in Higher Education, features four national keynote speakers and more than 70 concurrent sessions all being held the evening of Friday, Feb. 15 and during the day on Saturday, Feb. 16 at NSU’s Fort Lauderdale campus in the Terry Building, 3200 S. University Drive. One of the conference speakers is NSU alumna Karen Vignare, Ph.D., M.B.A. She is a strategic innovator leveraging emerging technologies to improve access, success and flexibility within higher education. As Executive Director for the Personalized Learning Consortium at the Association of Public and Land-grant Universities, Vignare manages a network of universities committed to student success through personalization. She also oversees the adaptive courseware grant providing leadership and support to eight pioneering universities which are scaling adaptive courseware in introductory level courses. Vignare previously served as a Vice Provost at University of Maryland University College, the largest online public, open-access institution where she led innovations in adaptive learning, student success and analytics. She has published extensively on online learning, analytics, and open educational resources. She has a Ph.D. from NSU’s College of Engineering and Computing and an M.B.A. from the University of Rochester, William Simon Business School. Kenneth (Casey) Green, Ph.D. is Founding Director of Campus Computing Project, the largest continuing study of the role of eLearning and information technology in American colleges and universities. The project is widely cited by campus officials and corporate executives as a definitive source for date, information, and insight about IT planning and policy issues affecting higher education. Green is author or editor of some 20 books and published research reports and more than 100 articles and commentaries that have appeared in academic journals and professional publications. He also serves the moderator and co-producer of Toa Degree, the postsecondary success podcast of the Bill & Melinda Gates Foundation. Additionally, he directs the Digital Fellows Program for the Association of Chief Academic Officers. Green’s Digital Tweed blog is published by Inside Higher Ed. Laura Niesen de Abruna, Ph.D., M.S., M.A. is the PI on the 2017-2018 “Provosts, Pedagogy, and Digital Learning” grant from the Bill & Melinda Gates Foundation. She is past president and current board member of the Association of Chief Academic Officers (ACAO) and current board member of the Council of Independent Colleges (CIC) CAO Task Force. She is also Provost, Vice President for Academic Affairs, and Professor of English at York College of Pennsylvania. Her major interests are in global initiatives, digital learning, service learning, institutional assessment, and the development of general education curricula. She is particularly interested in the role of innovative high impact practices in increasing the quality of undergraduate learning. Todd Taylor, Ph.D., is the Eliason Distinguished Professor of English and Comparative Literature at the University of North Carolina – Chapel Hill, where he also directs the first-year writing program. Since the early 1990s, his research and teaching have examined how literacy is evolving in response to rapidly changing digital, information, and networked technologies. He has recently authored Adobe Creative Cloud across the Curriculum: A Guide for Students and Teachers and Becoming a College Writer: A Multimedia Text (Bedford/St. Martin’s), and co-edited Literacy Theory in the Age of the Internet (Columbia UP). All his academic degrees are in the field of English Literature. He earned his Bachelor’s degree at Emory University and his Masters and Ph.D. at the University of South Florida. For additional information visit the conference website HERE.